The National Leader of the All Progressives Congress (APC), Bola Tinubu, on Saturday said they will teach Atiku Abubakar, the presidential candidate of the Peoplesâ€™ Democratic Party (PDP), â€œa lessonâ€. Tinubu, speaking at the mega rally for APCâ€™s candidate, Muhammadu Buhari, at the Teslim Balogun Stadium in Surulere, Lagos, told party supporters to vote using their index finger during the February 16 presidential election. The former Lagos State Governor explained that using their thumbs, might cause ink to spill into the space meant for other parties, thus voiding their votes. â€œToday is the day I want to teach â€˜papa deceiving pikinâ€™ a lesson. Today, I want to teach Atiku a lesson. â€œGive your PVC to them, if they say it canâ€™t capture your fingerprint, try again. If it rejects you, try again. Donâ€™t leave. Itâ€™s your right. â€œBut to print seventy something ballot, you know the space will now become small, so donâ€™t use this thumb, donâ€™t use it. We are in the classroom of voting. Use this finger, index finger. Use the finger you use to lick soup. â€œGo to that ink, and go to that space and put it, blow it. Look for broom symbol o, donâ€™t put it on top of the broom. That will be a void vote. Put it in that small space and leave and stand by until they count your vote. Because if you use your thumb finger, it will spill over to another line. They said they will void the vote. 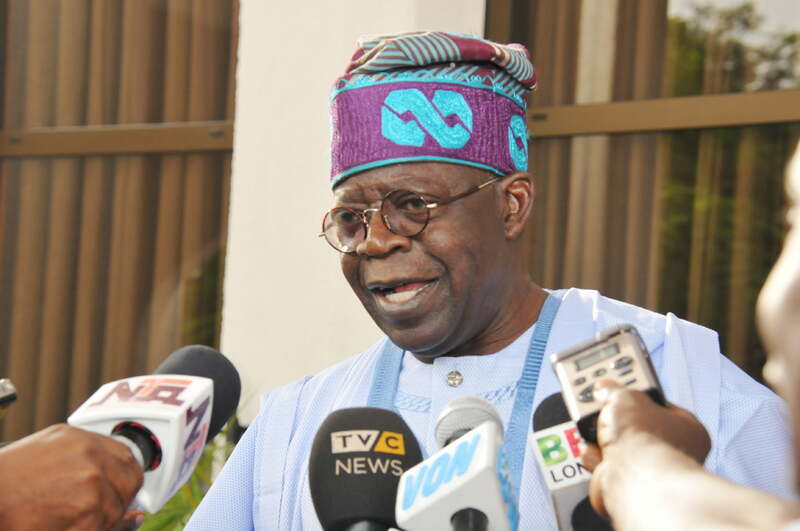 If you use too much ink, a blot to another party creates a problem,â€ Tinubu said.